Cisco Network is well perform network equipment and platform, there are many companys in the world entrust their network being handle by this instrument. A lot of advantages we get if we know much about this network equipment eventhough it's not simple way to learn more about all Cisco Netwok familly. Not only Microsoft, Java, or Oracle, Cisco System provide Cisco Netwok Career Certifications which provide profesional IT certification for Cisco System Product such us CCNA, CCDA, CCNP, CCDP, CCSP, CCVP, and CCNA Security. There are five levels of certification: Entry, Associate, Professional, Expert, and Architect, as well as seven different paths, Routing & Switching, Design, Network Security, Service Provider, Storage Networking, Voice, and Wireless. My personal opinion Cisco Netwok Career Certifications is not cheap, but it's very important for profesional network engginer to have it. get the best preparation is the best effort we can do. There are many network/cisco simulator in a market as we know Boson, Networksim and All official Network simulator form Cisco System that can be install in our desktop and we can learn from it. Dynamips, the core program that allows Cisco IOS emulation. Qemu, a generic and open source machine emulator and virtualizer. That mean to start using GNS3 we must install application above, if you running ubuntu the fastest way to install GNS3 is go to System > Synaptics Package Manager > (type GNS3 as keyword) then Apply and install, all application needed to run GNS3 is automaticaly installed. Before GNS3 is ready to use, download Cisco IOS from this page first then add Cisco IOS to Dynagen IOS library. Here they are Step By step how running Cisco Network Simulator on Ubuntu Linux : * Continue with following step when you have finished installing GNS3. Open GNS3, than add Cisco IOS to Dynagen IOS library. To add IOS to Dynagen go to menu edit > IOS images and Hypervisors, browse the images and fill all required information. 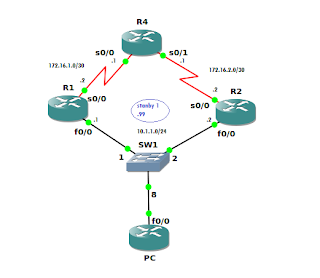 Draw the topology you want to bulid by drag and drop router logo in the left side of GNS3 to the center of topology area. Configure the network, Configuring network can be start by connecting one router to another by the connector (Giga etheret, ATM, Fast ethernet), to edit router properties like RAM, Additional Pheriperal in Slot, Name or other can be accessed by right click the router then chose 'configure'. Just like the actual Cisco router we can telnet (remote) the router and doing all Cisco task and job like the real ones. to finish the topology, after all router has been configured well, check topology interconection by router utillity like 'ping' or 'traceroute' from one router to another. 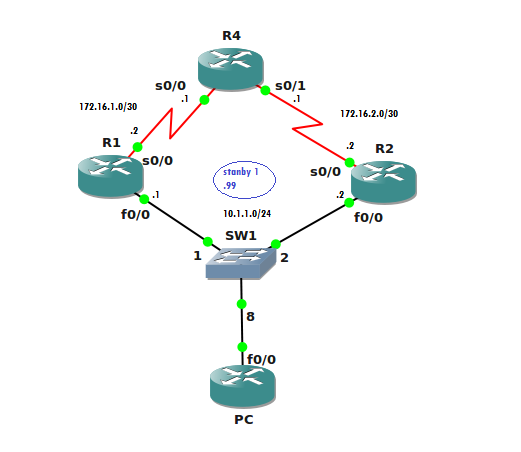 And now we can start a better preparation to join profesional network certification from Cisco System, to expendite the practice download some Network Topology here.